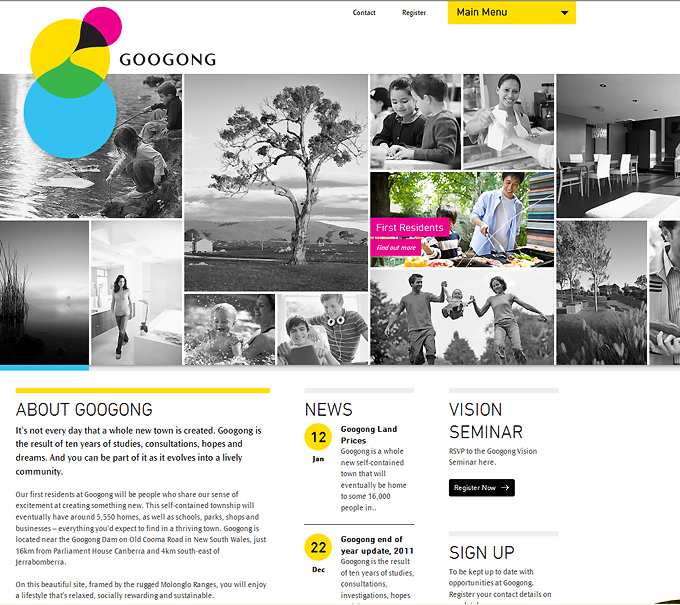 Googong is a new development near Canberra. It is being developed by Grey client CIC Australia in joint venture with Mirvac. It will, when completed, constitute a whole new town. The website was the most important information tool leading up to the initial sales release and was required to give a comprehensive view of the development. Agency: Grey Canberra.